This is one of the all time greats, it’s a French classic and one I have been making for a while but haven’t ever bothered to post…until now. 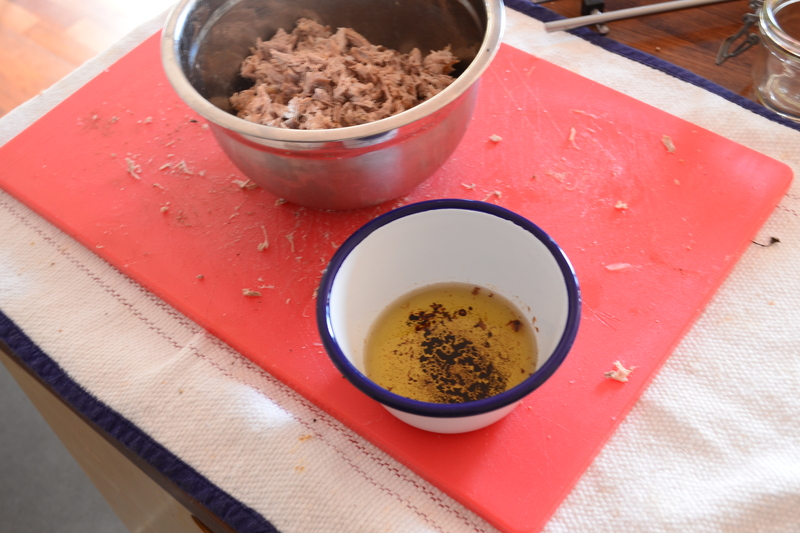 The first time I tried Rillettes it completely knocked me down, it is killer stuff and I mean that in a good way. I simply had it in a crispy French Baguette wandering around the French Villa I was renting in Saint Maxime ….incredible…and I have been literally in love with it ever since….and the Villa! 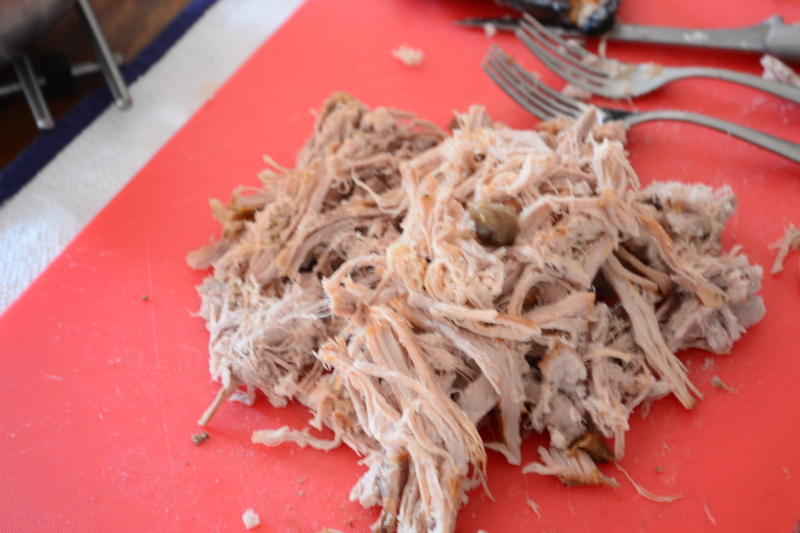 For all intents and purposes this is a paste or a pate, it’s slow cooked pork, shredded and potted in its own fat. So be warned, this is not a ‘low fat’ recipe so keep that in mind. 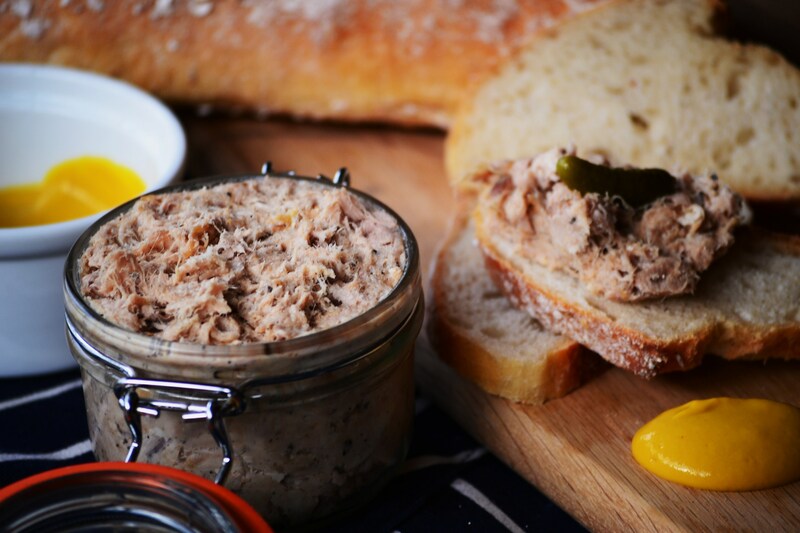 Pork Rillettes is from the same culinary family as terrines and pates – meat and fat combined and it is compulsory to have this rich and tasty beauty with a good sour dough, some hard mustard (my preference) and something with sourness…pickles or cornichons. 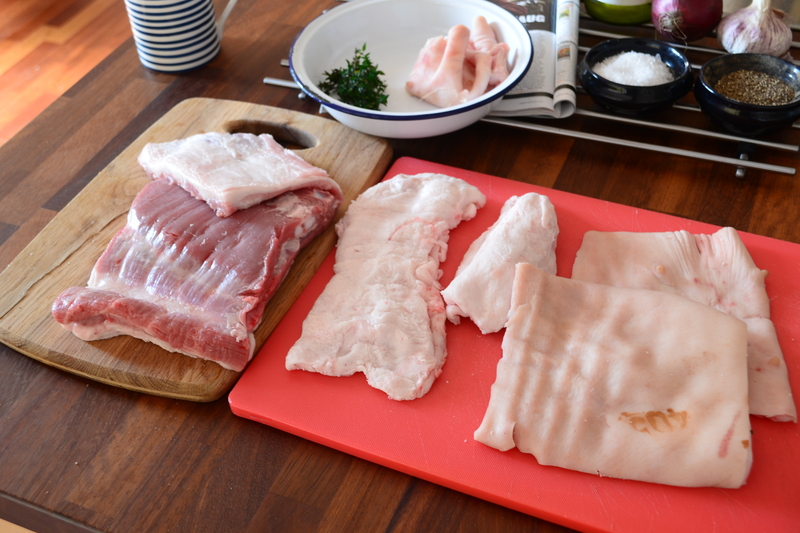 To start remove the skin/rind from the pork belly, you need a really sharp knife but equally your butcher will sort you out if you ask them. 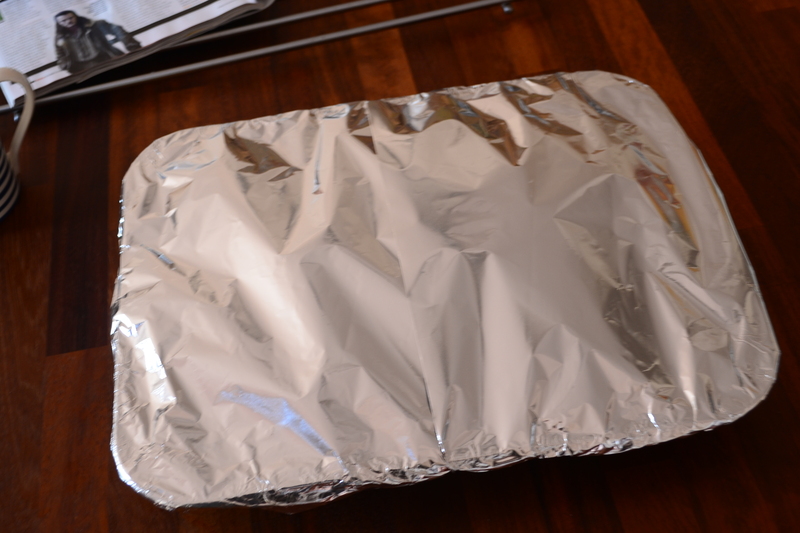 So this is going away for 4 hours at 140c but you gotta wrap it really, really well so double down on the baco-foil! 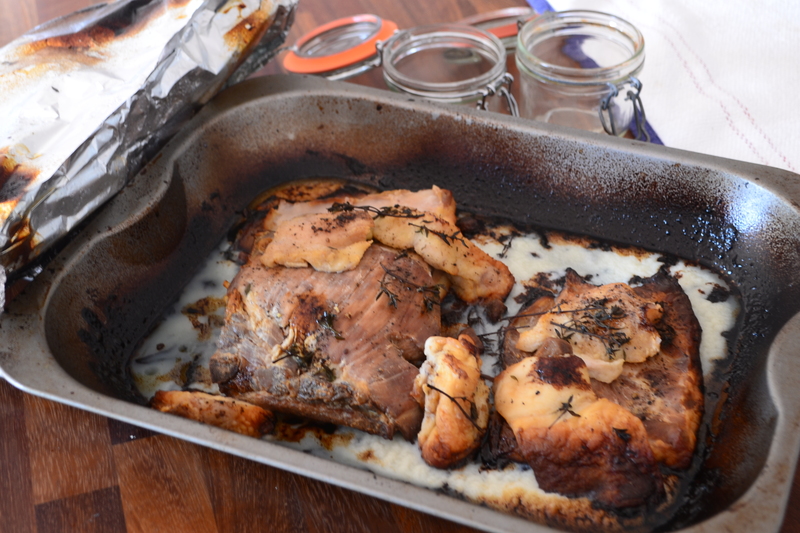 After 4 hours you have the most tender pork belly known to man – now at this point you can can go BBQ and turn this into the my classic pulled pork or straight onto to Rillettes.. 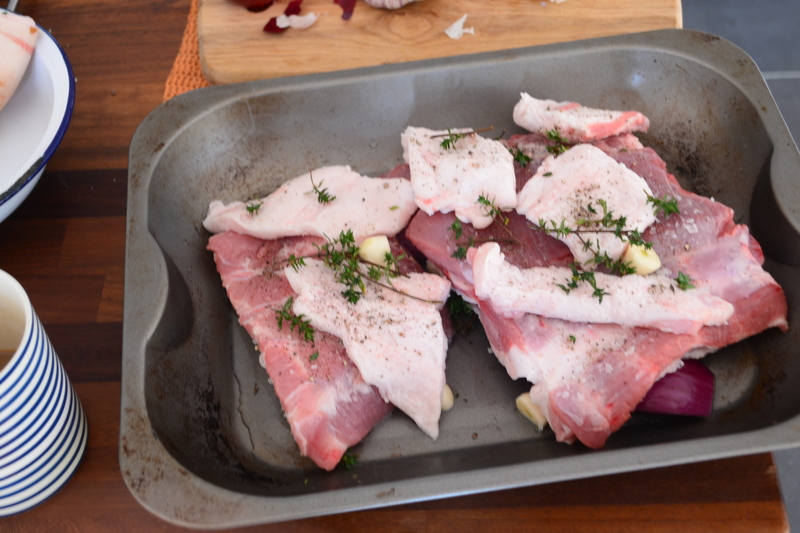 So, i’ve found that there are a few schools of thought on what happens next with the pork…some suggest ‘pounding’ it into a paste, some suggest wazzing it in a blitzer….but what I have found works best is simply running a knife through the fibers then into a bowl for a quick seasoning session – salt, pepper maybe some Dijon and the melted pork fat from the cooking. Oh man, this looks good! Well woirth the time energy and effort – what I haven;t put on the recipe is vital though (I’ll edit) – these bad boys neeed to mature for a couple o0f days in the fridge it makes all teh difference! Rory, your killing me!! No, really, I’m mesmerized by the effort and ultimately, the end product. 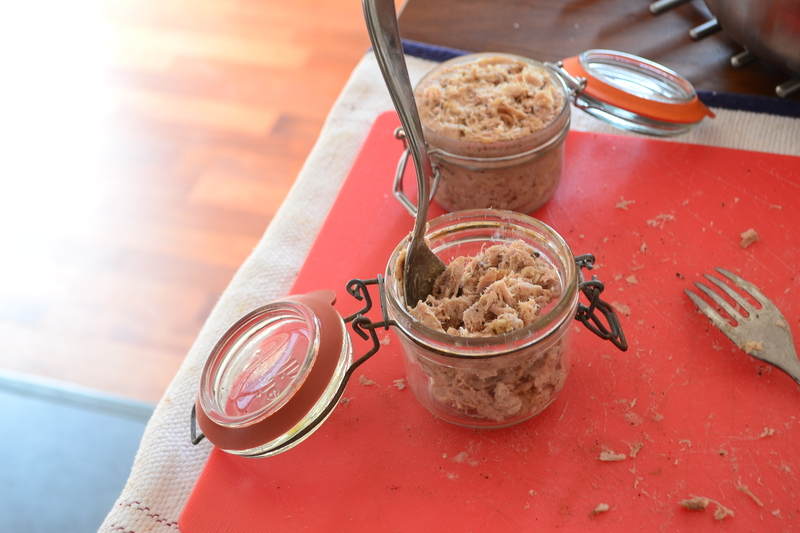 I’ve made and eaten pâtés, head cheese and the likes but you article has inspired me to incorporate, rillettes. Ha!! Go for it you won’t be disappointed fella!!! Previous Post Parma Pizza – you can do this at home!